Changes are about to come in the user interface of Music App of your iPhone. 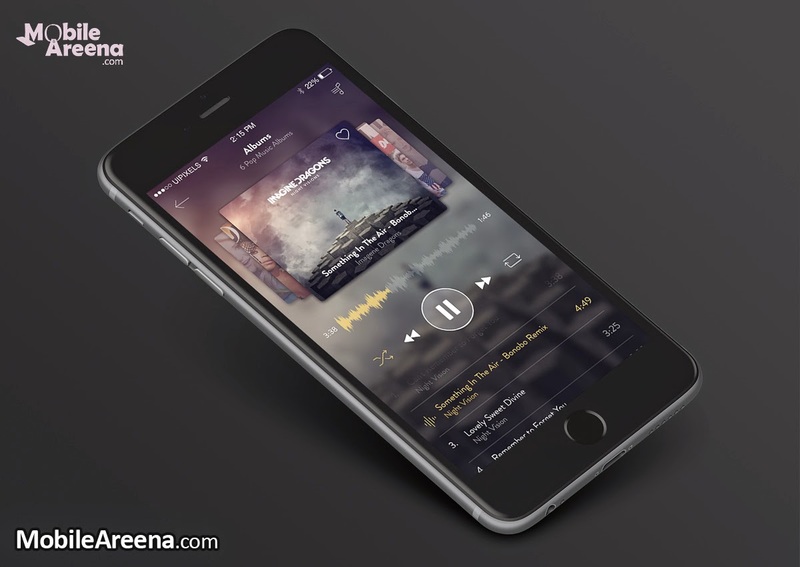 Yes with the advent of iOS 8.4, there are many changes that you will watch in the Music app on your iPhone and iPad. The new version featured in a preview version of an upcoming update is based heavily on the current design of iTunes for the Mac, according to a hands-on preview by a famous website. Like iTunes, the new Music app is putting a big emphasis on visuals, with album art taking up half the screen on the player user interface. A mini-player also sticks to the bottom of the UI throughout the app, meaning users can always easily pause a song currently playing. The overhaul also brings other useful updates, such as the ability to add songs to a play queue and a robust search feature that can trawl a user’s library as well as iTunes Radio. The new features may signal that Apple is indeed preparing to roll out a new on-demand streaming service under the iTunes brand, as has been rumored for several months. The service could be unveiled at Apple’s developers conference, which starts June 8. he oft-rumored redesign of the Music app. With the expected announcement of Apple’s streaming music service happening in June, the Music app redesign has been expected for several months now. The newly introduced Music app offers a handful of new features in the first beta of iOS 8.4, as well as a redesigned interface that’s similar to iTunes on the Mac. Let’s take a brief look When you first open the new Music app you’ll quickly notice that the standard tabbed interface has been changed dramatically. Along the bottom of the app are now three tabs for “My Music,” “Playlists,” and “Radio.” You can swipe left and right to navigate between the interfaces. The “My Music” interface shows your recently added music along the top, similar to the recently added section in iTunes on the Mac. Unfortunately, however, you only see the three most recent items added. The interface makes it look like you should be able to scroll horizontally to view more, but you can’t as of beta 1. Although, there is a “more” button that allows to view additional recently added content in the upper right corner. Below the “Recently Added” section is all of your music, whether it is stored locally on your device or in the cloud. By default, the music is broken up by artist, although there is an arrow you can tap to choose to sort by artists, albums, songs, music videos, genres, composers, or complications. If you click the three dots next to a selection, you have the ability to play it next, add it to Up Next, make it available offline, and delete it. Gone is the ability to swipe left to delete a song and gone is the cloud icon that used to allow you to download a song. You now have to click the three dots to perform either of those tasks. One of my favorite features in the iOS 8.4 Music app is the ability to manage your queue of songs. Apple has offered this in iTunes on the Mac for a while now, but never on iOS. With iOS 8.4, however, you can now choose to play a song next, or add it to your full queue. Spotify and other music apps offer features similar to this, so it’s nice to see Apple finally catching on. Tapping on an artist from the artists page will bring you to all of the content you own by that specific musician. With a hero image at the top that fades to be the color the top menu bar as you scroll down, it’s a really pleasing interface. It can get a bit overwhelming if you have a lot of content by a single artist, but no more so than the original iOS 8 music player did. No matter where you go in the new Music app, you’ll always see a playback bar at the bottom the interface with the ability to play or pause a song. Swiping up on the menu bar will pull up the newly designed player user interface. The player interface itself in iOS 8.4 has been dramatically overhauled. The album artwork takes up roughly half of the interface, while the controls take up the other portion. Along the bottom of the interface are options for shuffling, repeating, viewing your queue, deleting the track, and downloading the track. The bottom portion of the interface is somewhat translucent with the shade adjusting depending on the color of the album to which you’re listening. To get out of the player interface, you can either click the down air in the upper right corner or swipe down on the album artwork. Overall, We like the brand new music player interface and how it spread out is compared to the original iOS 8 Music app. Moving to the Playlists interface you’ll see another recently added section at the top for your recently modified or created playlists. Below that is a list of all your playlists with the ability to edit and delete them, as well as create new ones. The Playlists interface is somewhat bland at this point, with there being no options to sort or order them. Although it’s important to keep in mind that this is the first beta of the app, so Apple can and will adjust things as time progresses. Finally, the Radio tab shows your recently three most recently played stations along the top. Below your recently played stations are the featured stations from Apple, with more featured stations broken down my genre visible below that. As of beta 1, there doesn’t appear to be any way to view your saved iTunes Radio stations. Instead, you rely solely on your recently played stations and search to find content other than what is featured by Apple. The iTunes Radio interface almost feels cramped with the iOS 8.4 Music app. The album artwork for stations is so large and pushed together that it’s somewhat cluttered. Also, Apple needs to add back the ability to save iTunes Radio stations. It’s a pain to have to search every time you want to find a station to listen to. Also gone is the “info” screen that allowed you to tune stations and choose between clean and explicit versions of tracks. Again, this is a beta so things can and will change. 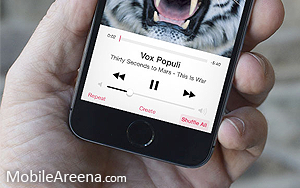 Overall, the Music interface Apple has previewed with the first developer beta of iOS 8.4 is promising. Its similarity to iTunes on the Mac will make it familiar to many users. There are still some areas in which Apple needs to improve it, however, and that’s to be expected with a beta. Some of the buttons are awkwardly small, while the iTunes Radio interface is cluttered and unintuitive. Nevertheless, I’m a fan of the overall design direction Apple has taken the Music app and I think, especially when coupled with a streaming music service, it will be unmatched by its rivals.